In 2001, Addition Elle has over 30 years experience catering to plus-size women searching for trendy, flattering, and fashionable clothing. 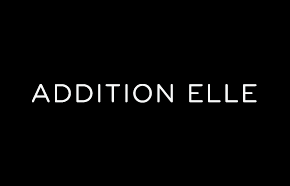 The Addition Elle brand epitomizes the chic Montreal culture of effortless, cool, individual style, combined with femininity and a dash of rebellion. We are the trendsetters in the plus market in Canada.